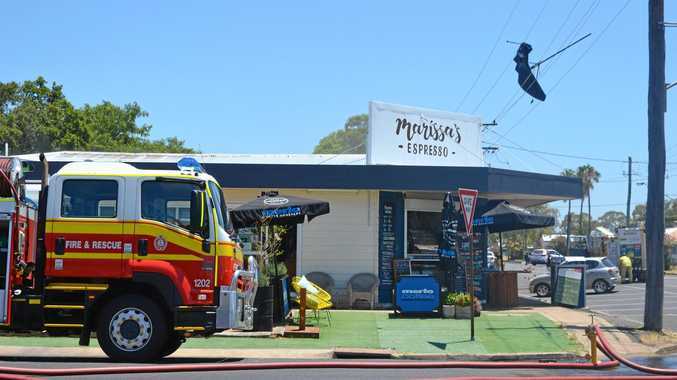 CUSTOMERS were sent running from Marissa's Coffee Shop, on Nicholson St, after an umbrella blew into power lines, causing a fire on the roof. Just before 1pm today, employees heard a loud bang an evacuated customers. The umbrella blew into powerlines in a freak gust of wind, setting off sparks. The roof, between Marissa's and the neighbouring bottle shop, caught fire shortly after. Police and fire brigade officers responded immediately and an ambulance arrived shortly after 1pm. Senior-Sergeant Terry McCullough explained the damage tothe surrounding areas. 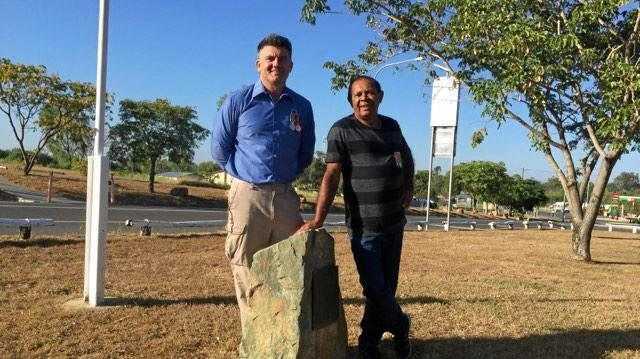 "Traffic lights have gone out on the Warrego (Highway),” Sen-Sgt McCullough said at the time. One person was transported to hospital for smoke inhalation.